The bridge between crypto universe and the traditional investment market. An appealing concept for the investment space. Whitepaper explains the plans and breaks down the entire operation. Main team has past success in various businesses in the finance sector. The Blackmoon project aims to be in the same industry. 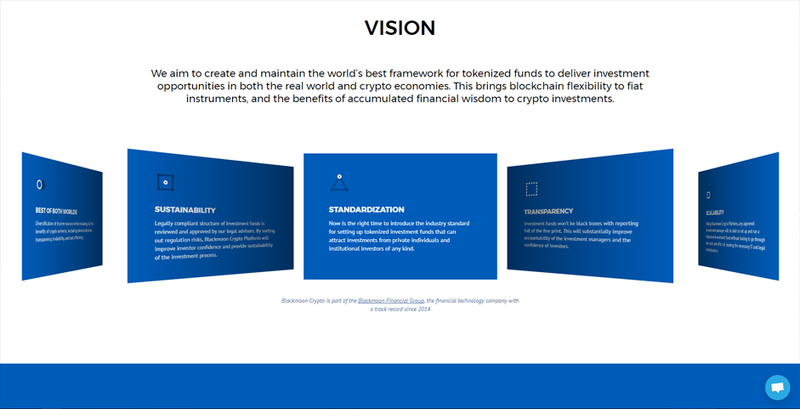 The Blackmoon Crypto project has their entire project planned and explained down to its core in their whitepaper. 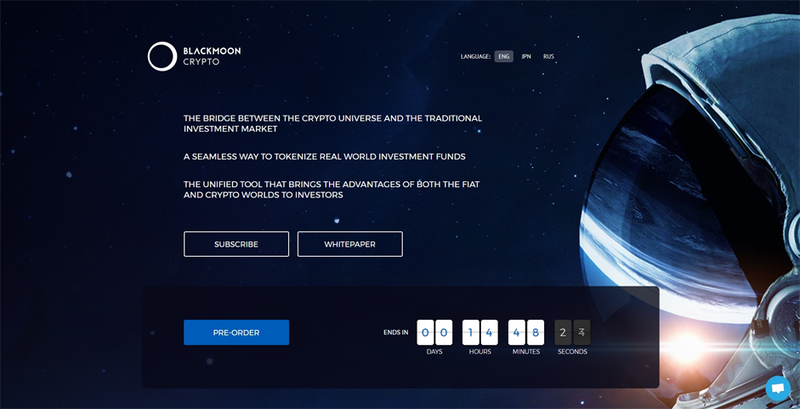 Blackmoon Crypto provides a tokenization platform for real-world as well as crypto investment funds. All funds that operate on the Blackmoon Crypto Platform will generate a stream of fees in form of funds’ tokens toward the Platform. 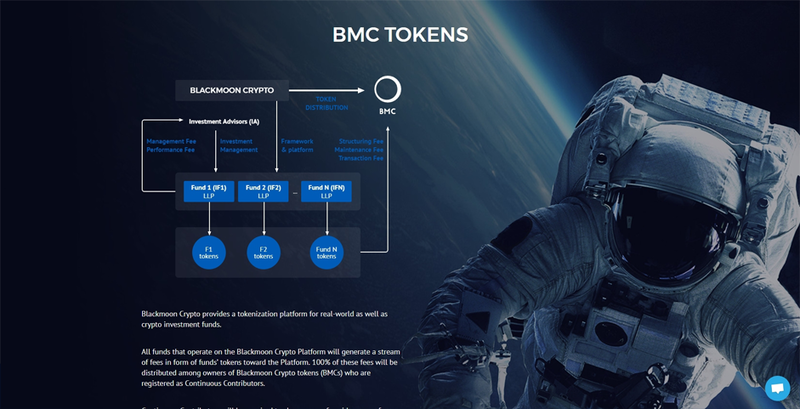 100% of these fees will be distributed among owners of Blackmoon Crypto tokens (BMCs) who are registered as Continuous Contributors. 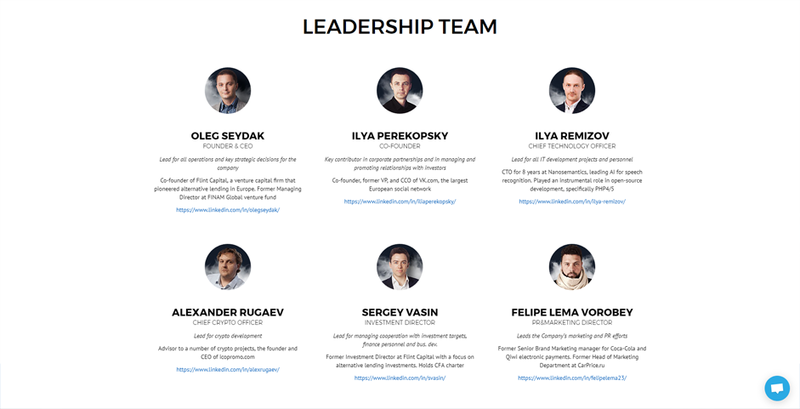 Continuous Contributors will be required to choose one of a wide range of possible roles and perform specified actions to help us to develop the Platform. Investment advisors will be required to deposit a specified amount of BMCs on the Platform to be qualified and manage a fund on the Platform. Not an overly big deal but it had to be noted. The potential of the Blackmoon Crypto project is no doubt huge. They have done great marketing, there are many unpaid and unbiased blog posts reviewing their concept and their team appears to have experience in the field they want to explore. These are 3 huge positive factors in our books. The finance and investment field has a lot of room for growth and that is where the extended potential of this crypto is currently appealing. Investment wise, this could have solid potential for the next few months (short term). We will be keeping a close look at the project and how it progresses.